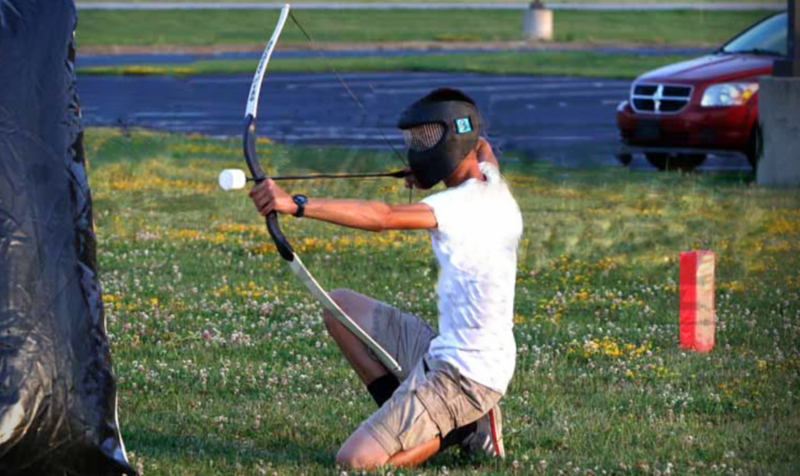 Archery Tag - family friendly combat archery sport. Each player is provided with arm and face guards and all archery games are monitored by Archery Games referees. 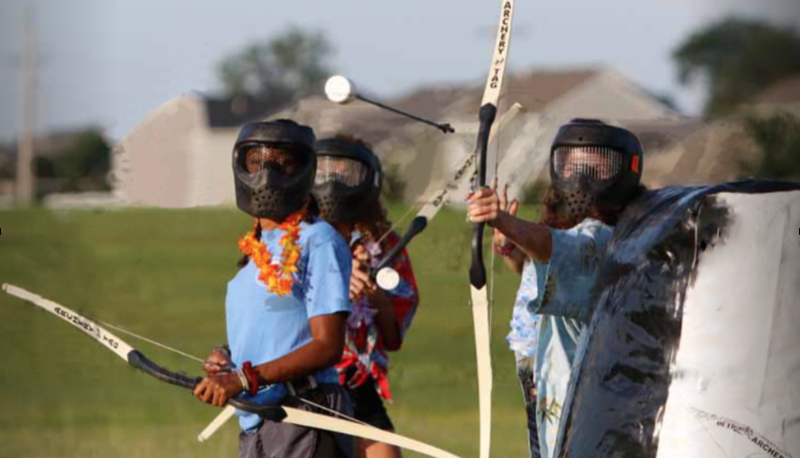 Parties/We provide instructions on how to shoot a bow and arrow, and target practice before your game. No athletic ability or previous experience needed. 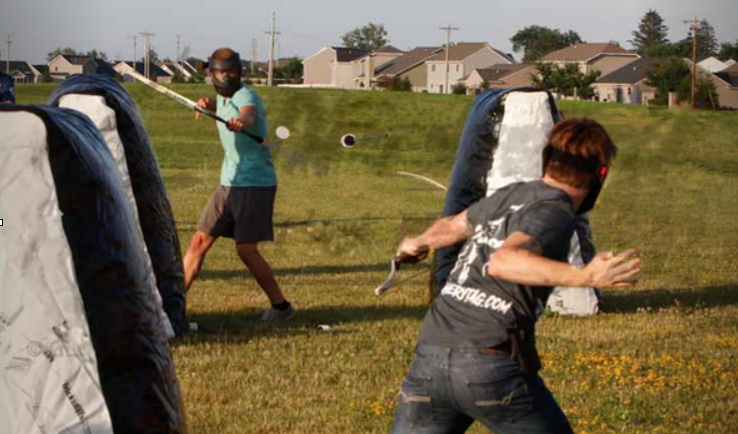 Archery tag is an interactive team oriented experience that excites the competitive, thrill seeking spirit in everyone! Liability waiver need to be signed by all participants. There is no cancellation fee for bad weather. If inclement weather including high winds (winds greater that 35kms) occurs on the day of your event, you can cancel or reschedule the booking. 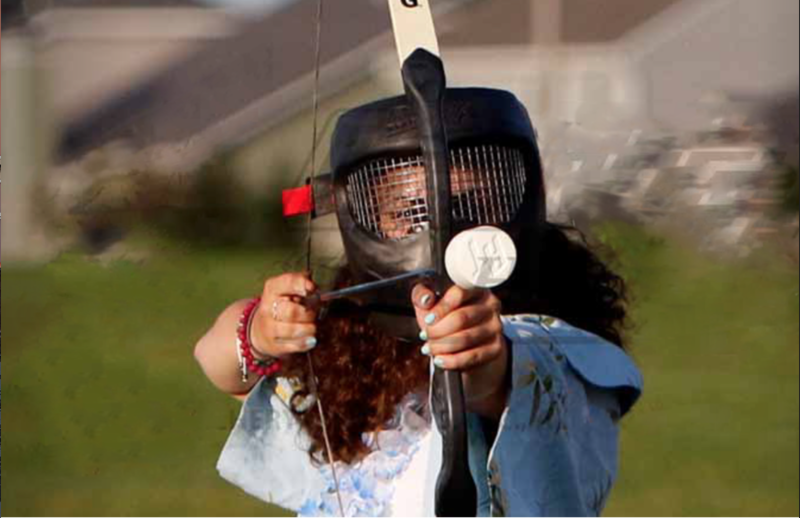 Archery Tag is the ultimate action-packed battle experience that is fun for people of ages 6 years and older. The game allows 2 teams to battle each other in a similar to dodge-ball in that the objective is to strike the opposing team’s players in order to eliminate them from the game. The main difference being that instead of throwing rubber balls at each other you will be equipped with bows, foam-tipped arrows and helmets! Players are divided into two teams of 3-10 archers. All archers (bows in hand) start off lined up against the wall on their side of the field. The referee will signal the start of the game, at which point archers race to the middle and retrieve the arrows. Archers are not allowed to shoot or be shot while in the Safe Zone (hits made here are not counted). Archers cannot enter onto their opponent’s side of the field while they are in play. When an archer is hit by an arrow from the opposing side, they are tagged out and must make their way around the outer wall to their opponent’s wall until the next game starts. If you catch an opponent’s arrow mid-flight – one of your team’s archers is brought back into play. Your team must tag out all archers on the opposing team -or- knock out all 5 circles out of the opposing team’s target board.